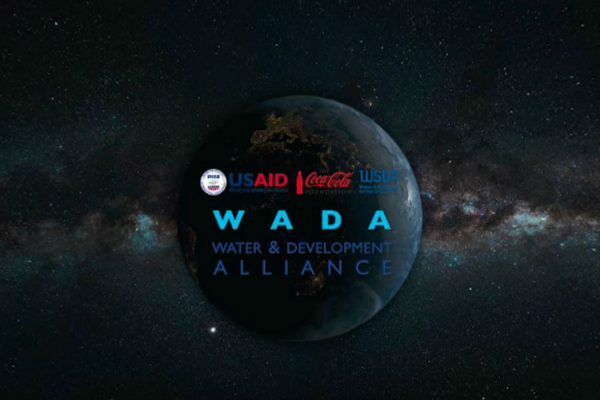 WSUP believes that the only way to make sustainable, long-lasting changes to water supply and sanitation services to the poorest urban residents is through systems change. Building physical infrastructure such as taps and toilets will only work if the appropriate systems are in place to support and manage these new services in the long term. 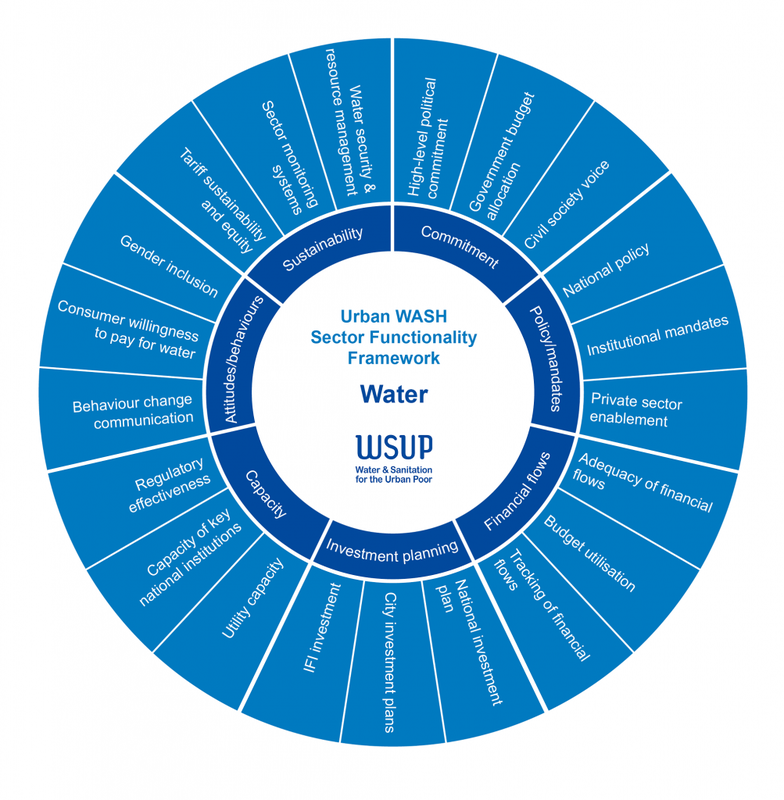 At city level, WSUP’s vision of the ingredients necessary for a functional urban WASH sector are defined in our Sector Functionality Framework. 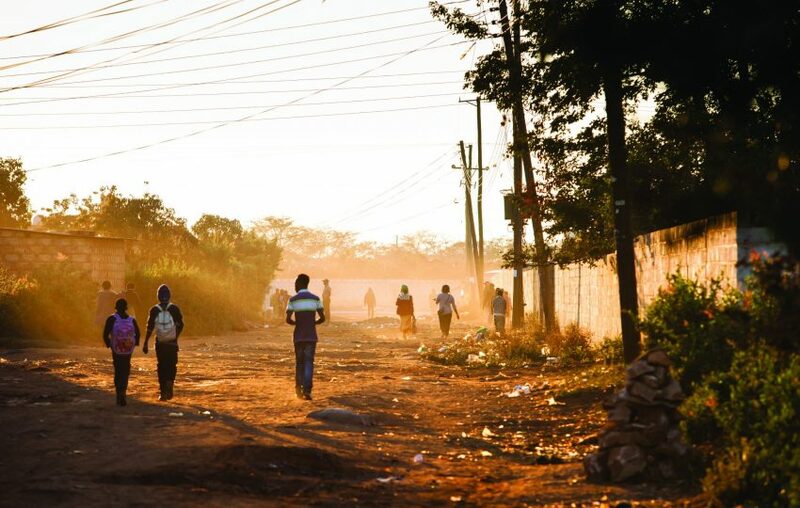 The framework helps WSUP to frame the changes that need to take place in order to create a functioning sector: the end goal for WSUP’s work in the countries where we operate. 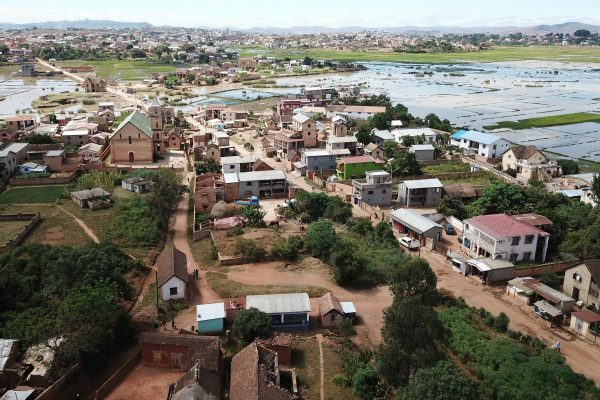 We have used the framework to analyse the urban water and sanitation systems in each of our six countries, bringing partners together to create a shared vision for what changes need to occur in coming years. The framework can be used for planning programmatic activities, as well as influencing the mindset and approach of institutional partners who are tasked with oversight and delivery of services. 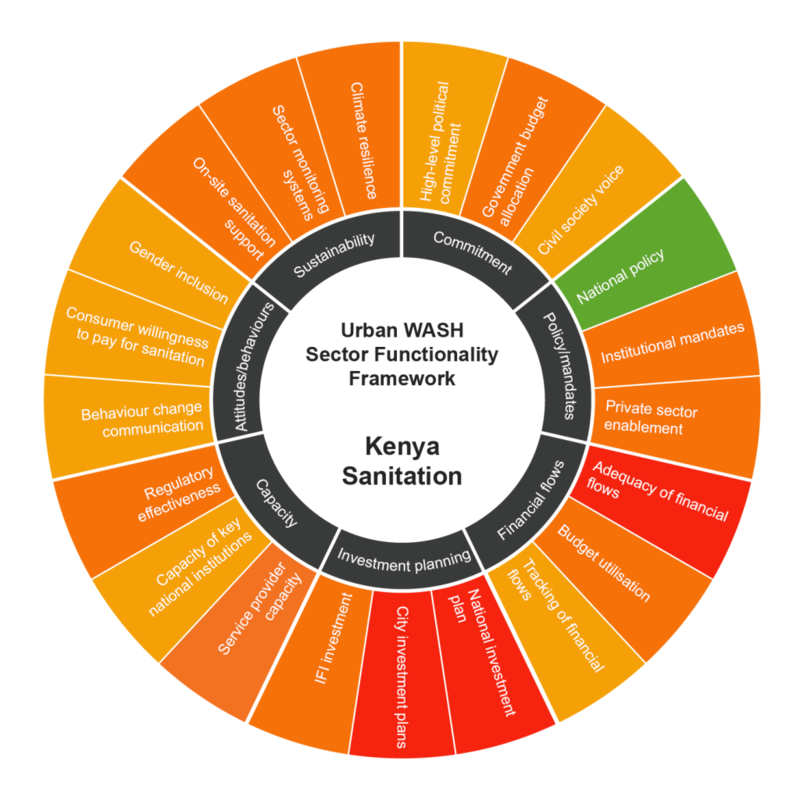 This is the finalised Urban WASH Sector Functionality Framework for water. Read more: An evaluative framework for urban WASH sector functionality.